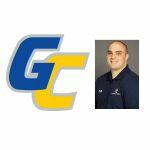 I can confirm that Jay Powell has resigned as the head men’s basketball coach at Gulf Coast State College (FL). He informed his team of the decision this afternoon. Powell just concluded his 12th year as the Commodores head coach. His team finished 14-15 (2-10) this past season. An official announcement is expected shortly.